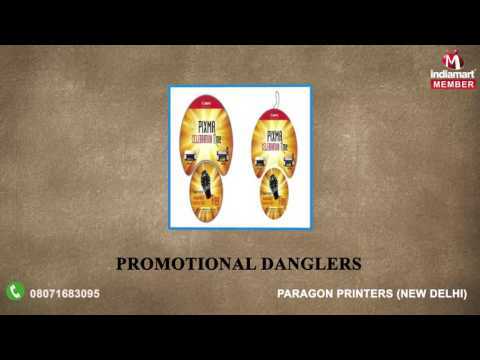 Established in the year 1988, we, Paragon Printers, are one of the leading providers of Printing and Designing Services. In addition to the feasible services rendered, we are considered a distinguished manufacturer and supplier of a wide series of Stationery Products. Catalog Printing Services, Brochure Printing Services, Pharma Visual Aid Printing Services and Notebook Printing Services along with Magnetic Name Badges & Promotional Danglers, are some of the major focus of our company. For obtaining durable results, we make use of quality grade ink, procured from our reliable vendors. Both our products and services are quality checked for their perfection, on a series of parameters. Where our services are acclaimed for their standardization, feasibility, reliability, cost-effectiveness and flexibility, our products are widely appreciated for their attractive designs, excellent finishing and customization.